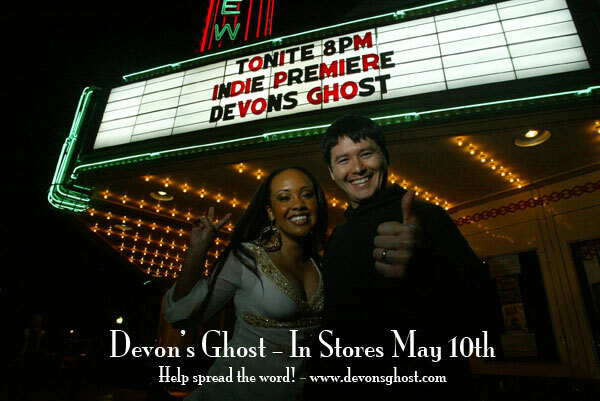 Karan Ashley's latest project, Devon's Ghost, debuts in video stores this May and features the work of several Power Rangers alums. Karan and Johnny Yong Bosch star in the film, which was co-directed by Johnny and longtime PR stunt coordinator, director, and producer Koichi Sakamoto. Karan Ashley co-wrote the script. Devon's Ghost is a young adult action thriller incorporating murder, mystery, music, and martial arts. It's the story of a small town being terrorized by a serial killer who seems eerily connected to a 10-year-old murder that has become local legend. Karan and Johnny play Symphony and Josh, local teens who are convinced they know the killer's identity and try to stop him before he can kill again. "Unlike other horror films, we're not just running and screaming and falling and trying to stay alive — we're actually fighting back," says Karan. "…Some people die, some people don't, but we at least get a couple punches in." With such talented martial artists as Johnny, Koichi, and Karan involved, I suspect "a couple punches" is an understatement! Visit the official site for the latest news, trailers, photos, and interviews. There's also a link to pre-order the film on DVD. Producers of Devon's Ghost and other Karan Ashley projects. Photo courtesy of Gag Order Films.